Making money is not a easy task, everyone has to do lots of efforts to earn money. Sometimes people believe that if they create their website and blog than they will earn a handsome amount. Well this is only half true. You have to give your 100% to make your blog popular and famous. Well this is all about blogging. Now we have to concentrate on this post. This article is all about How to make money with online auctions. 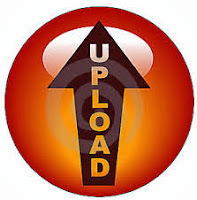 According to me online auctions is the best and easiest way to make money. 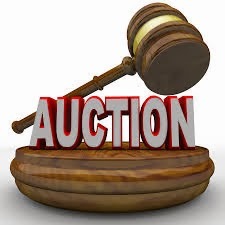 Auction means to sale your items and products on the auctions based websites and earn money. Read the full post and learn some new ideas on tips to making money with online auctions in 2014. Whenever you write an post, you have to do deep research and than publish on your blog. So when you sell your product, you have to research the items which is similar to your product. You have to take a quick look at the prices of the similar items. You have to take a look of all similar items that you sell. Mention all the features related to your items and product. This is an important tip for the sellers to sell their product on the niche based sites. As we know their are number of sites are available where you can sell your item and product. An niche sites are famous for the various topics and you can sell your product their at high rates. Try to find your niche market where there is a demand and without strong competition. You can search out various sites and compare your product and see in which site it was placed. When you sell your item and product on the website, you have to give a litle bit description and upload a photo related to your auction. This will help to the buyers to check the product. Your picture will describe all the details about your item. Sometimes picture says everything. Keep your photos in HD ( high definition) , jpg layout. Your photos should be attractive and eye catching. When ever an blogger write an post, they firstly give an brief description about it. This description will help to the buyers to meet your actions. According to me, description of the items listed for auction usually should have information about the weight, height, dimensions, age, color, design, texture and what is it used for. The title must be eye catching, means whatever you choose the heading for you your product, it must be attractive. If you choose the words which is as simple as others than whats the benefit of auction. So try to adopt the keywords which is highly targeted and very rarely used. Your title should be well crafted to compel the customers to click on it. You have to become an ideal person while transaction happens. Show some etiquette and sincerity while dealing with someone else. Sometimes the other person doesn't believe on you because of offline meeting. The buyer did not know you even not see your face, so you have to do lots of efforts to make your deal possible. 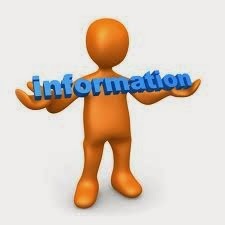 Put all the information related to your product and remember the information should be accurate and original. Do not give the fake news related to your item. Try to build healthy relationships with your sellers. Hey Konika, Thanks for the researched content! Earning money online through Auctions is one hard thing. But the steps you told is really helpful.